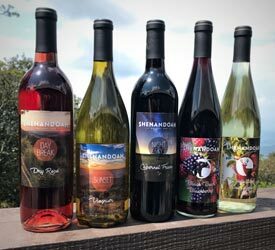 Sample Virginia wines, craft beer, or hard cider select dates at 4:30 PM at Skyland (mile 41.7 & 42.5) or Big Meadows Lodge (mile 51). Must be 21 years of age or older to attend. Reservations are suggested, call 877-847-1919! 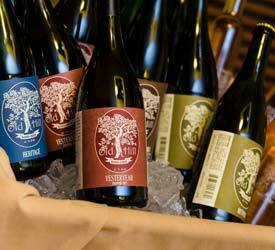 Virginia has over 200 wineries and a number of them are located in the counties that surround the park. A select Virginia vendor, or a wine bar featuring a variety of wines, is featured each date! 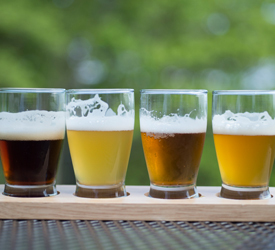 Virginia is brewing some really tasty craft beers and people are starting to notice. From pale ales to pretty stout stouts, you can certainly find your favorite brew at our beer tasting events. Delicious and natural, familiar and flavorful, hard cider is a rich part of Virginia's heritage with a variety of styles ranging from dry to sweet and still to sparkling - sure to tantalize even the most distinguished of palates. Old Hill Cider uses carefully selected apples of heirloom cider-specific varieties, and is made from 100% apple juice with the added benefit of being gluten-free.